QuickBooks Capital (see our review) is a brand new lending feature designed for QuickBooks Online (see our review) users that offers installment loans at competitive rates. QuickBooks Capital uses your accounting information to determine whether you’re eligible for a loan, making the application process incredibly simple. However, if you need fast capital, you may not have the time to wait for QuickBooks to contact you. Or maybe you’re looking for a loan with a higher borrowing amounts and longer term lengths. It’s important to explore all of your options before making a decision, so you’ve come to the right place. In this post, we’ve picked the top 10 alternatives to QuickBooks Capital. These lending options vary in loan type, borrowing amount, and borrower requirements, so that no matter what kind of business you run, you can find the best option that works for your business’s needs. Read on to discover more about QuickBooks Capital and see which, if any, QuickBooks Capital alternative is right for you. If you don’t receive a notification saying you’re eligible for QuickBooks Capital, or if you want to explore all of your options, you can access the QuickBooks Capital Marketplace. The Quickbooks Capital Marketplace is where you’ll find seven additional lenders with which QuickBooks Capital directly partners: OnDeck, CelticBank, Fundbox, LoanBuilder, Funding Circle, BlueVine, and Direct Capital. The 7 partners on our platform meet our guiding principles for transparency, privacy, security, consumer protection, and overall cost of capital including rates and fees. The best part about applying for a loan using the QuickBooks Capital Marketplace is that the application is simple. Instead of going directly to one of these individual lenders, you’ll apply directly through the QuickBooks Capital website. QuickBooks Capital will use your existing QuickBooks Online data to fill in your application. Then you will be able to view offers from the lenders you are eligible for. Several of the lenders on this list are QuickBooks Capital partners. Read on to learn which of the seven are our favorites. Established small businesses looking for a loan or line of credit for working capital or business expansion needs. Founded in 2011, FundationÂ (see our review) has quickly become one of the top choices for business lending. With competitive rates, excellent customer service, and almost no negative reviews, it’s easy to see why. FundationÂ offers installment loans (also commonly referred to as term loans) and lines of credit. The qualifications for Fundation are a bit more stringent than those of the other alternatives in this post. To qualify, you must have a credit score of 660 or higher, have been in business for at least a year, and have $100K/year in revenue. You must also have three full-time employees. You can fill out an application online. As you’re applying, Fundation will tell you if the business characteristics you’re entering are good or bad, so you’ll have a better idea of whether your application will be approved. You will need to provide some documentation as well. It takes between two to seven days to complete the application process and receive funding. Fundation is a great option for established businesses with good credit who are looking for a loan that offers the competitive rates of bank and credit card lenders, without the long, complicated application process. Read our complete Fundation review to learn more. Established businesses in good standingÂ looking for an SBA loan to be used for working capital, debt refinancing, or commercial real estate. SmartBiz (see our review) has been simplifying the SBA loan process since 2009. SmartBiz does not issue loans themselves; instead, they help pair eligible applicants with an SBA lender. SmartBiz specializes in the General 7(a) Small Business Loan, which can be used for working capital, debt refinancing, or commercial real estate purchasing. Because SBA loans are government-backed, it is harder to qualify for these loans than some of the other alternatives in this post. You must have at least fair credit, have been in business for two years, and have enough cash flow to support repayments. You also cannot have any tax liens, current charge-offs or settlements, or any bankruptcies in the last three years. You must be a US citizen or permanent resident. If you’re using your SBA loan for commercial real estate, the real estate in question must be at least 51% owner-occupied, and you can’t have any previous defaults on government-backed loans. The good news is, SmartBiz can determine whether you have a good chance of qualifying for an SBA loan in minutes. If you pass their questionnaire, you’ll be assigned a SmartBiz representative who will help you fill out your application. 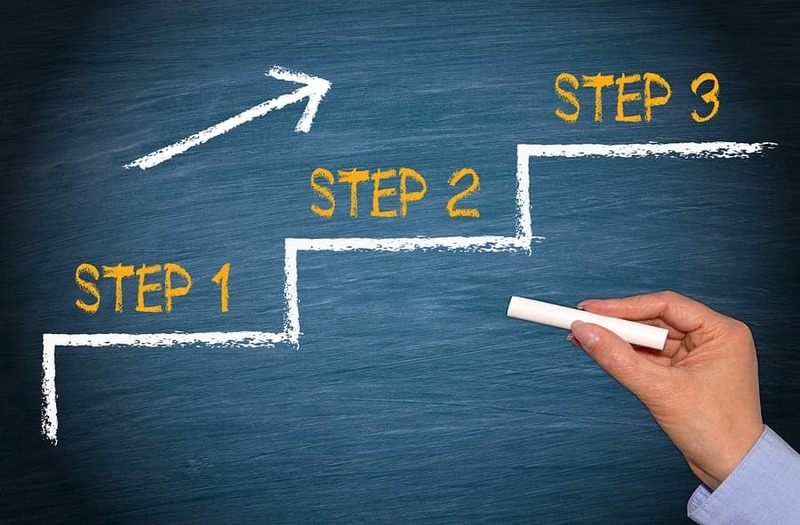 Depending on the number of documents you need to provide, this step can take a few weeks. Once you’re approved, you can receive funds right away (unless you’re using the funds for commercial real estate, in which case there are several extra steps required before you receive funding). Overall, the application can take anywhere from one week to three months depending on the type of loan you are applying for and the size of the loan. If you’re an established business looking for an SBA loan, SmartBiz loans are much easier to apply for than most SBA loans. This option is not suited for startups. If you’re interested in learning more about SmartBiz, read our full SmartBiz review. Small- to medium-sized businesses looking for a loan or line of credit to be used for working capital or business expansion needs. StreetShares (see our review) is a peer-to-peer lender that started back in 2013. The company was founded by veterans, for veterans, but you don’t have to be a veteran to use this small business loan service. StreetShares has competitive rates and low borrower qualifications making it a good option for merchants looking for installment loans, lines of credit, or contract financing. For installment loans, the maximum you’ll be approved for is 20% of your annual revenue. To qualify for a StreetShares’ loan, you must have a credit score of 620 or higher, have been in business for a year, and have 25K in annual revenue (if you have $100K in revenue, you can qualify after being in business for only six months). If you’re interested in contract financing, the qualifications are even laxer; you just have to be a B2B or B2G business that sends invoices to your customers. To apply for a StreetShares’ loan, you simply fill out an online application. If approved, you’ll have to provide additional documentation. The whole process usually takes less than a week, so you can expect fast funding. StreetShares is one of our top-rated small business lenders for a reason. This lender offers fast, affordable funding for small to medium-sized businesses and boasts some of the best rates on the market. Check out our complete StreeShares review for more details. Small- to medium-sized businesses looking for a loan or line of credit with a fast application process. OnDeck (see our review) is an incredibly popular online lender that was one of the first to use technology for lending decisions — making approval fast. OnDeck also has relaxed borrower qualifications, although the loans can get expensive. OnDeck offers both short-term loans and lines of credits, and payments are made daily or weekly. To qualify for an OnDeck loan, you must have been in business for twelve months, have a credit score of 500 or higher, and have an annual revenue of $100K. Here are the rates for OnDeck’s lines of credit. OnDeck is one of QuickBooks Capital’s partners, so you can go fill out an application in the QuickBooks Capital Marketplace and QuickBooks will let you know if you qualify for an OnDeck loan. Or, you can apply with OnDeck directly. Simply fill out the application on their website. OnDeck may ask for some documentation. Approval usually takes less than 24 hours, and if you accept an OnDeck loan, you can expect to receive your funds in one to two days. While OnDeck can get expensive, its relaxed borrowing requirements make it a good option for merchants looking for fast funding who may not be approved elsewhere, or who need a little extra capital to hold them over until they qualify for better financing. Read our full OnDeck review to learn more. Small businesses in need of short-term loans to be used for working capital, inventory purchasing, or other short-term needs. Breakout Capital is one of our top-rated lenders and specializes in offering short-term loans to small businesses. These loans are more flexible than those of many of the other alternatives in this post. Depending on the strength of your business, you may be able to choose from multiple payment schedule options. To qualify for a Breakout Capital loan, you must be in business for a year, have a credit score of 600, and have at least $10K/mo in revenue. To apply for a Breakout Capital loan, you’ll need to fill out a pre-qualification form first, either online or by calling a Breakout Capital rep. You’ll then have to provide some basic information and a few documents. Breakout Capital will let you know if you qualify for one of their loans. The cool thing about Breakout Capital is that they will also let you know if one of their lending partners has a better offer for you. Breakout Capital can be good option for small businesses looking for short-term financing. Read our full Breakout Capital review to see if this QuickBooks Capital alternative is right for you. Small businesses looking for invoice factoring or a line of credit for consistent cash flow. BlueVine was founded in 2013, and this online lender has been revolutionizing invoice factoring ever since. In addition to invoice factoring, BlueVine also offers lines of credit. The lender is known for positive customer reviews and plenty of customer support options. BlueVine has relaxed borrower requirements. To qualify for invoice factoring, you must be a B2B business that’s been operating for three months, have a credit score of 530, and have a monthly revenue of $10K. To qualify for a line of credit, you’ll need to be in business for six months, have a credit score of 600, and have a monthly revenue of $10K (some states are not supported). BlueVine is one of QuickBooks Capital’s partners, so you can go fill out a QuickBooks Capital Marketplace application and QuickBooks will let you know if you qualify for a BlueVine loan. Or, you can apply with BlueVine directly. Simply create an account, answer a few basic questions,Â and provide three months of bank statements or connect to your bank account (you can also connect to your accounting software if you’d like). Approvals usually take a day. Once approved, you can start drawing from your credit line right away; transfers normally take one to three business days. While BlueVine may not have the cheapest rates, it does have some of the lowest borrowing requirements. If you’re interested in learning more about this financing option, read our full BlueVine review. Microbusinesses looking for invoice financing or a line of credit for consistent cash flow. Fundbox (see our review) started out in 2013 as an invoice financing provider. Today, Fundbox also offers lines of credits and is known for good customer support and positive customer reviews. To qualify for Fundbox’s invoice financing, you’ll need to have been using a compatible accounting or invoicing software for at least three months. To qualify for Fundbox’s lines of credit, you’ll need to have had a compatible bank account for at least six months. Fundbox is one of QuickBooks Capital’s partners, so you can apply to the QuickBooks Capital Marketplace and QuickBooks will let you know if you qualify for a Fundbox loan. Or, you can fill out an application with Fundbox directly. Simply make an account and hook up your accounting or invoicing software to apply for invoice factoring, or hook up your bank account to apply for a line of credit. You’ll usually hear back in one to two hours. If approved, you can start requesting funds right away. Fundbox is a great option for startups and small businesses looking for an invoice factoring solution or a line of credit. Read our complete Fundbox review for more details. PayPal users looking for a loan for working capital, inventory, or other short-term needs. PayPal Working Capital (see our review) is incredibly similar to QuickBooks Capital. This lending service is available for PayPal users only, but since many QuickBooks lovers also use PayPal, we kept it on this list. PayPal Working Capital offers short-term business loans that operate like merchant cash advances (meaning payments are deducted from your daily PayPal sales). To qualify, you must have been in business for three months and have $15K – $20K/year in revenue, depending on your PayPal account type. Applying for a PayPal Working Capital loan is easy. PayPal autofills an application for you. All you have to do is verify the information. If you are approved, the loan amount you accept will automatically be deposited into your bank account. If you aren’t approved, there are some steps you can take to try again. While the factor rates can be potentially high and loan approval is inconsistent, PayPal Working Capital can still be a good option for PayPal merchants looking for short-term financing. Read our full PayPal Working Capital review for more details. Established, large businesses in good standing looking for a medium-term loan. Founded in 2010, Funding Circle is an online lender that specializes in offering loans to large businesses and franchises. Because of this, Funding Circle’s borrower qualifications are more stringent than those of some of the other lenders on this list. To qualify, you must be in business for two years and have a credit score of 620. You also cannot have had any bankruptcies for the last seven years or any tax liens for the last 10 years. Funding Circle is one of QuickBooks Capital’s partners, so you can apply to the QuickBooks Capital Marketplace and QuickBooks will let you know if you qualify for a Funding Circle loan. Or, you can fill out an application for Funding Circle directly. The Funding Circle application is fairly long, but it is still much faster than applying through a bank or credit union. Multiple documents are required. The complete application process usually takes around 10 days. Funding Circle is a good fit for large business or enterprises that are established. Startups and small businesses will be better off with any other lender from this list. To learn more about Funding Circle, read our complete Funding Circle review. Businesses of nearly any size with fair credit looking for a medium-term loan. Founded in 2006, Lending Club (see our review) is one of the oldest lenders to offer loans online. Lending Club has competitive rates and good customer service. This lender offers personal loans, auto refinancing, and business installment loans (which are what we will be focusing on). To qualify for a Lending Club business loan, you’ll need to be in business for 12 months, be 18 years old, be a US citizen or long-term resident, and have $50K in annual revenue. You also have to own 20% of the business and cannot have had any bankruptcies of tax liens. To apply for a Lending Club loan, you’ll need to fill out an online application. You’ll receive a quote, and if you’d like to continue, Lending Club will ask you for more information and several documents. Approval usually takes one to two weeks. Lending Club can be a great option for businesses of many sizes. Learn more about Lending Club and it competitive terms in our complete Lending Club review. Which loans am I eligible for? What do I want to use this loan for? It’s also important to know the differences between each type of loan. For installment loans, short-term loans, and merchant cash advances, you’ll receive your funds in one lump sum. Once these funds are gone, you’ll have to apply for a new loan, which makes these loan types ideal for working capital, inventory purchasing, and business growth projects. For lines of credit, you’ll be able to draw however much you’d like up to your maximum borrowing amount as you need the funds. Most lines of credit revolve, meaning once you pay back the money, you can draw from the line of credit again. For this reason, lines of credits are good for consistent cash flow, unexpected expenses, and time-sensitive business opportunities. No matter which you choose, these lenders vary in one distinct way from QuickBooks Capital:Â You get to take the initiative in finding capital, instead of waiting for QuickBooks Capital to reach out. While QuickBooks Capital offers competitive rates, these 10 alternatives are more than worth looking into if you need fast capital, a higher borrowing limit, or a different type of loan. Looking for even more options? Check out a comparison of ourÂ favorite small business lenders, or ourÂ full list of reviews. The post Top 10 QuickBooks Capital Alternatives appeared first on Merchant Maverick. Couple of things in existence feel just like a brand new start. This really is especiallyÂ trueÂ when you&#8217re launching a brand new businessÂ and are filled with enthusiasm to begin making the ideal a real possibility. However if you simply&#8217ve experienced some poverty which have left your credit rating battered and bruised, a brand new start could be tricky to find. How will you obtain the startup funds you’ll need when most banksÂ won&#8217t touch you having a ten-feet pole? This is when alternative financing &#8212 via microlenders, factoring invoices, and crowdfunding &#8212 comes in. Unlike popular thought, it’s totally possible to obtain a affordable startup loan, even though you possess a poor personal credit rating of 600 or perhaps lower. Below are seven highly regarded lending services that could possibly direct you toward that new beginning running a business you&#8217ve been dreaming about. Accion is really a nonprofit microlender offering medium-term quick installment loans to startups and existing companies. For those who have poor personal credit but require a small startup loan, AccionÂ is among the couple of trustworthy online lenders to help you outÂ without screwing you over. Accion lets borrowers pay back loans on the monthly as opposed to a weekly basis this differentiates the companyÂ (in a great way) from a lot of its competitors within the short- and medium-term lending space. Crowdfunding, also sometimes known as &#8220peer-to-peer lending,&#8221 is yet another viableÂ way to obtain startup fundingÂ with poor credit Kiva U.S. (and mostÂ other crowdfunded lenders) don’t look at your credit whatsoever. And Kiva&#8217sÂ short-term quick installment loans have the advantage of charging % interest â that&#8217s right, they&#8217re totally free. Additional needs: With respect to the size the loan and otherÂ factors, you ought to get the backing ofÂ 5 toÂ 35 lenders from inside your personal personalÂ network of buddies, family, business contacts, etc. Once you obtain the needed social backing out of your own network, the borrowed funds goes public. Like Accion, Kiva is great for startups with poor credit (or no credit!) who require only a small loan to obtain began. However, you need to be comfortable requesting backing out of your own social networking. A coupleÂ other crowdfundedÂ loan options you might like to take a look at areÂ Kickstarter and Indiegogo. Why We Love To Kiva U.S.
American ReceivableÂ is a very rated invoice factor for Business to business companies. Factoring invoices is a kind of funding in whichÂ a business sells its a / r to aÂ factoring company for a cheap price. Invoice factors such as AR typicallyÂ do have no needs time running a business or credit rating. Observe that invoiceÂ factoring is just anÂ appropriate type of startup financing for several businessesÂ â particularly, Business to business or B2G companies. Riviera FinanceÂ is another solid factoring invoices choice for poor-credit startups. Unsecured loans are one other way brand-new companies will get startup funds, because these loans don&#8217t have time-in-business needs. Avant is really a reputableÂ provider ofÂ personal quick installment loans you can use for business, plus they alsoÂ accept credit ratings that many personal lenders would balk at. Minimum credit rating: No hard-mentioned minimum however, they willÂ loan to borrowers with scores as little as 600. Observe that whileÂ Avant accepts poor-credit borrowers (though not very-poor-credit borrowers), you might be denied funding according to some other reasons, for example inadequate personal earnings to satisfy the incremental payments. They don’t have any company earnings needs, however. Credibly originates short-term loans, including capital loans and business expansion loans. The corporation is startup-friendly (though you have to will be in business for six several weeks) and can love you even though you have inadequate credit. Woo-hoo! Credibly offers two separate loan products (capital loans and business expansion loans), whichÂ have different terms and charges Credibly&#8217s longer-term business expansion loans charge interest rather of the one-time fee.Â Like other short-term financers, Credibly&#8217s minute rates are around the high side however, the cash comes through fast. And should you choose the company expansion option, youÂ can pay the loan back weekly rather of daily (in contrast to most short-term loans). Bluevine is among the most popular lenders within the type of creditÂ (LOC) lending space, partly becauseÂ they also have several the laxest customer needs among LOC lenders. A credit line is definitely an appropriate type of financingÂ for start up business ownersÂ who don&#8217t know just how much they&#8217ll requireÂ but want so that you can withdraw cashÂ as they require it. Furthermore, BlueVine also provides factoring invoices services to Business to business startups. PayPal Capital sells short-term loans that function much like merchant payday loans. These financing options haveÂ no credit needs and make the perfect choice to considerÂ if you already conduct business on PayPal. Additional needs: Should have a PayPal Business or Premier account and process a minimum of $15K/year. Loan term: 18 several weeks max. Associated with pension transfer other short-term financial loans, PayPal&#8217s Capital doesn&#8217t charge interest rather, you areÂ charged a 1-time upfront fee. You pay back the loan instantly like a daily deduction out of your PayPal sales. The truly amazing factor about many of these poor credit startup loansÂ is that, having a couple of exceptions, the applying process is quick, painless, and fully online. Also, there&#8217s no recourse for you to get pre-approved, because this only requires aÂ &#8220soft&#8221 credit assessment that doesn’t impact your credit rating. Which means you will get prequalified as many loans as you desire, after which compare your offers to find the right one. Should you take a look at some loan options and therefore are notÂ pleased using the provides you with&#8217re getting according to your present credit rating, you may consider attempting to enhance your score or searching into further alternative financing ideas. The followingÂ resources possess some informationÂ on how you can raise your credit score and a few other suggestions for fundingÂ your startup. The publish Don&#8217t Let Poor Credit Prevent You From Obtaining A Startup Loan made an appearance first on Merchant Maverick.